Click here to view the schedule of podium sessions, including topics and abstract titles. 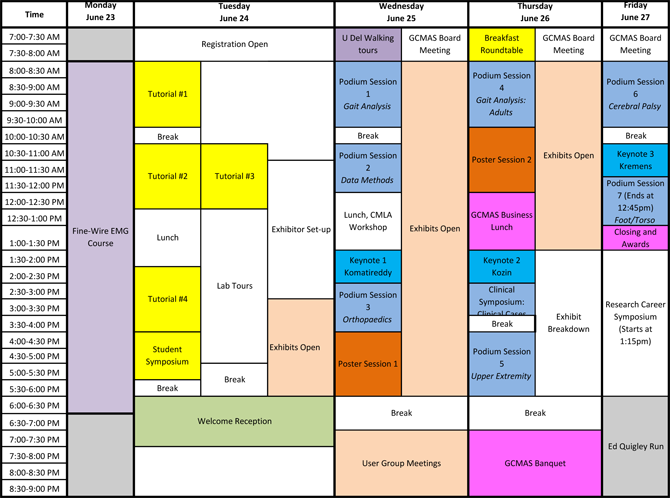 Click here to view the schedule of poster sessions, including topics and abstract titles. Breakfast Roundtable, 7:00-8:00am, Thursday, June 26.